The book that was flung across the chamber of the House of Commons when it became the centrepiece of a battle between party leaders. David Blunkett had never been a conventional politician – or personality. Blind since childhood, seemingly a traditional ‘old Labour’ councillor in Sheffield, he became Home Secretary and a key member of the Labour government. How did this son of a Sheffield steel worker achieve all this? And what motivates him now? 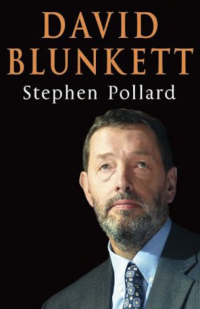 This fully updated biography was based on many hours of intimate conversation, covering not only Blunkett’s early life and blindness but also life on the government front bench -and his hopes for the future. Blunkett was candid in his opinions of his political allies and opponents – and unsparing in his analysis of his own performance. Stephen Pollard also interviewed over fifty people, including two serving cabinet ministers, in his quest to present a complete portrait of this remarkable yet ordinary man. The result was both a revealing account of an intriguing personality and a fascinating look behind the scenes of British political life.